The 25-meter long fishing vessel LAU-10 De Volharding suffered a fire in the engine room while in the shipping lanes near Ameland, Netherlands. The crew requested assistance with several lifeboats from the island responding. On board the the lifeboat from Nes, several members of the local fire brigade were taken to the fishing vessel. With their assistance, the fire on board the LAU-10 De Volharding was quickly extinguished. The fishing vessel was taken under tow and proceeded to Ameland. No reports of injuries. 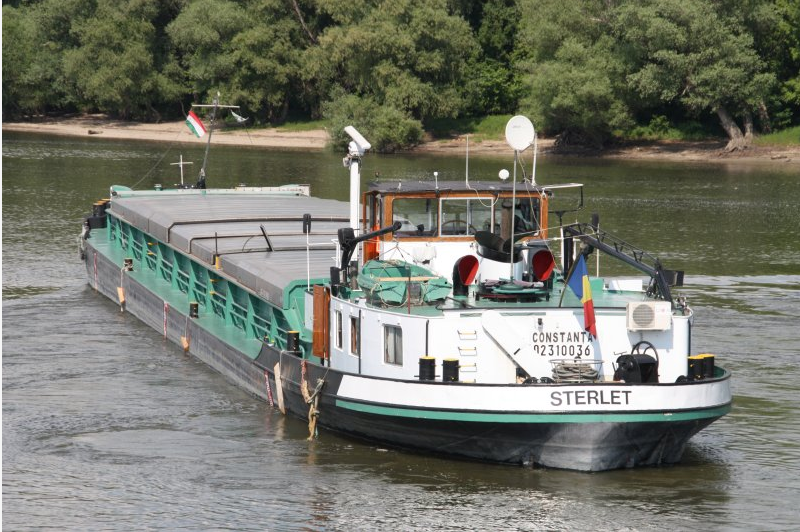 The 66.87 meter long freighter Sterlet sailing from Budapest ran aground on the Danube River near the 1669 kilometer mark. The Sterlet had veered out of the shipping lanes when it became stuck. No further details reported. 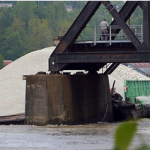 A railway bridge that spans the Fraser River between Abbotsford and Mission, British Columbia, Canada, was struck by a gravel barge twice. 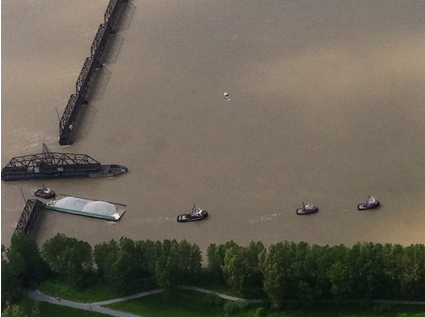 The barge was pinned against the south pier. 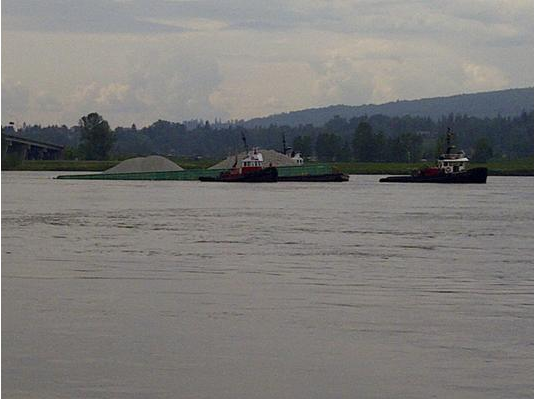 Gravel on the barge had to be removed before it could be dislodged. 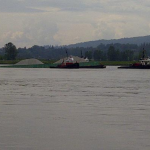 After being secured by four tugs, the barge proceeded down the river. 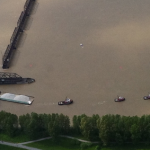 The barge was damaged and suffered water ingress. 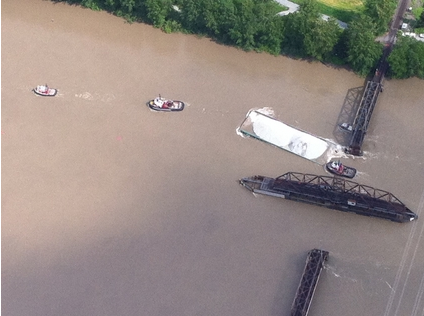 The bridge was closed while a diver did an inspection and traffic was diverted to a different crossing. 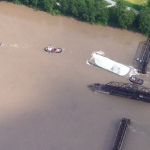 After the inspection the bridge was reopen and no damage was found. No reports of injuries.